I recently bought a new Sony Vaio VPCCW13FX that is running on Windows 7 home premium 64-bit. I've been trying to install through steam a few games that I had on my old computer, but I've been getting downloads at about 400-600 KB/s instead of the 1.3 MB/s that I could get on my old computer. I'm using the exact same router that I used on the older computer, but my downloads are coming in at about half what they used to. 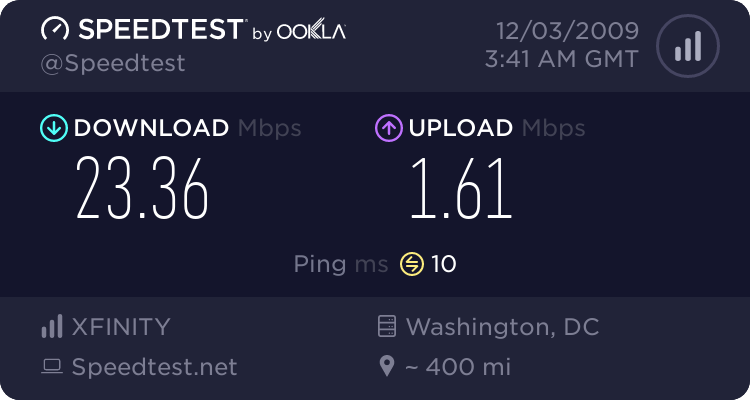 A speedtest.net scan told me that I'm getting a 23.36 mb/s download speed and 1.61 mb/s upload speed, which seems to be capable of giving me much better speeds than I have currently.